This set is a perfect example of the some of the most stunning Labradorite in the world. 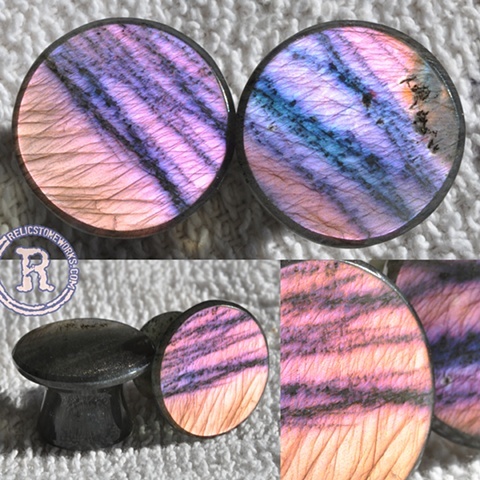 Named Spectralite by the miners that bring it to the States, this stone exhibits rare colors and brilliant saturation. This is one of the finest pinks we've ever seen.